American Airlines will be flying nonstop to Tokyo from Los Angeles starting on February 11, 2016. Tickets are on sale now. Tokyo’s endless skyscrapers and frenetic pace draw countless visitors, but its modern side is balanced with age-old Japanese traditions, such as sushi, sumo wrestling and tranquil garden retreats. American’s new route will make it even easier to explore everything Japan’s capital city has to offer. American will be flying the latest Boeing 787-8 Dreamliner between Los Angeles International Airport and Tokyo Haneda Airport. The aircraft’s design includes lie-flat business class seats with their unique zero gravity lounge position. In coach, passengers can spring for Main Cabin Extra seats that offer up to five more inches of legroom. Seat-back HD Panasonic touchscreen monitors are also on board, along with a in-flight Wi-Fi and a USB jack and AC power outlet at every seat. While exploring Tokyo, you’ll find cherry blossoms, lovely gardens and ancient Buddhist shrines alongside anime shops, tech gadgets and a food scene like no other. The city’s restaurants received an astounding 375 Michelin Stars in 2013. If you’re into history and museums, then the Tokyo National Museum and the National Museum of Nature and Science are a great place to start. Exploring the city’s Buddhist shrines and temples can be fun, too. The Meiji Shrine and Sensoji Temple are two favorites among travelers. The Ueno Zoo is Japan’s oldest zoo, and you can see everything from red pandas and polar bears to sea lions and lemurs. The cities Imperial Palace, beautifully situated in magnificent public gardens, is also a rare treat. You could head over to the Sky Tree, Japan’s tallest building, and take in breathtaking views of the city. If you’re in town in May, September or January, there’s nothing better than catching a sumo match or two at Ryogoku Kokugikan. Yoyogi Park in Shibuya-ku is a great place to relax in a natural setting and see some live street entertainment. 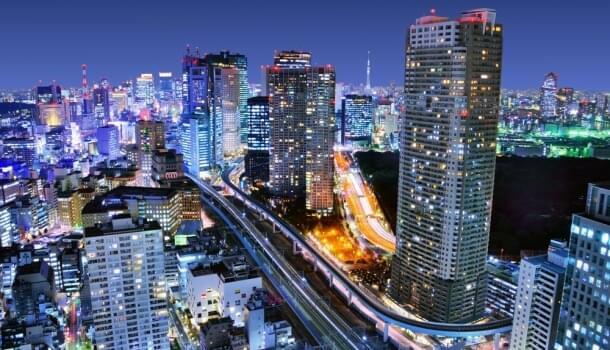 If shopping is your thing, you may want to zip over to Ginza, an area known for its luxurious wares, or Akihabara, where you can find all things tech. If jet lag has you up early and you’re wondering where to go, the Tsukiji Market is sure to be open for business. It’s favorite among sushi connoisseurs who like to watch tuna auctions and wander around the fresh fish market. You can grab a snack or an early morning meal at the small restaurants and sushi stalls set up at the market, too. And for the foodies looking for top-notch, highly-rated restaurants, Kojyu in Ginza dishes up delicious traditional Japanese food, while Quintessence is known for its stellar French cuisine.